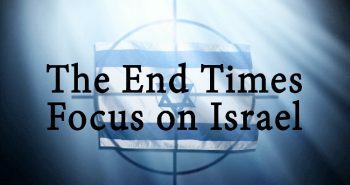 Though I am a firm supporter and believe that the modern state of Israel is the prophetic fulfillment of Ezekiel 37, I am not blind to the fact that Israel persecutes its Messianic Jewish believers. Some 15,000 Jewish believers in Christ reside in the nation of Israel. They believe that Yeshua (Jesus) is the Messiah the Jews are still waiting for. But, that belief flies in the face of the fundamental Orthodox Jews who firmly believe as the Gospel-time Pharisees did, that Jesus wasn’t kingly enough for them to be the Messiah. As an expression of their disbelief, the Orthodox Jews harass and even attempt to kill believers in Christ in Israel. Israel is not a safe place for Christians. Maoz Israel Ministries, is “a Messianic Jewish ministry in Israel… a catalyst and vehicle for evangelism, training, translating, publishing, economic and disaster relief, and established and underwrites a Hebrew indigenous congregation in Tel Aviv.” Their May 13-19, 2009, Dateline Israel report tells of an unexpected support for the Messianic Jews. “After last year’s attack on the Ortiz family [bomb], the Israeli press came out with several stories about the Messianic community — some very negative, but some — surprisingly positive.” Maoz has packaged these press stories in the short video. 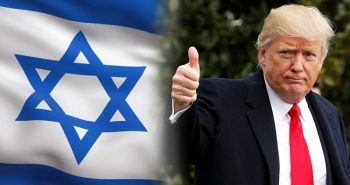 Ezekiel 38-39 prophesies that the Gog-Magog victory God gives Israel against a massive Muslim invasion will make the Jews “know that I am the LORD” (Ezek. 38:23). Most Jews will then join the Orthodox Jews in their belief in God. I just hope that many of those Orthodox Jews who currently persecute the Messianic Jews because of the Rapture will soon after have the scales fall off their eyes and realize that Yeshua (Jesus) is truly the Messiah. I hope they’ll be part of the 144,000 Jewish evangelists who will share the Gospel during the upcoming 7-year Tribulation (Rev. 7, 14). I hope at the latest they’ll be with those who weep like the rest of Jerusalem upon Jesus’ Second Coming at the end of the Tribulation as they realize Jesus is the Messiah they’ve been waiting for, yet have rejected for so long (Zech. 12). If not, all their religious zeal will amount to nothing if they die without accepting God’s Son and His salvation. The very Messianic Jews the Orthodox Jews now persecute hold the final clue to what they are seeking — eternal life. Next PostWill The Antichrist Be A Jew? If I were a cartoon character a little lightbulb would be shining over my head thanks to this article. All this time I’m always thinking how the wrath of God will be coming against the enemies of Israel in the tribulation period. But I suppose I tend to forget the tribulation is multi-purpose. Not only does is it meant to bring the most hard hearted to Christ, punish the evil that will never come to Christ, but also force Israel to open it’s eyes to it’s sins. Israel is not the innocent nation in a world of sinners, they need to be brought to Christ as well. Billy, you are very prolific for a guy who’s hung up his hat. 🙂 Glad to see you haven’t left. Sid Roth recently stated that he spoke with 70 Orthodox rabbis who have recently come to the conclusion that Yeshua is the Messiah! 70, praise God. There will be more who follow. It gets swept under the rug, probably, but it’s my understanding that many Orthodox (the Bible calls the Pharisees) Jews are coming to the realization that Jesus is the Messiah. Another sign we are at the End of the Age. I was wondering if you had heard of Jim Staley and Passion for Truth Ministries. 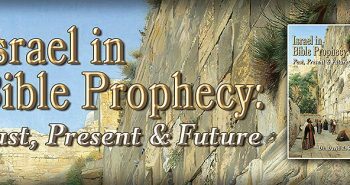 He is holding a prophesy conference near my home soon and i just wanted to get your take on his ministry. thunder…yeah, I guess I did a Brett Favre type of retirement. I just need to proofread better before posting. It’s more like a Mark Martin of NASCAR retirement. “I’m retired,” he says as he’s climbing into the car for another 4 seasons. Sorry, Justine, haven’t heard of Staley’s ministry. 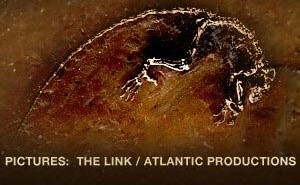 He’s not listed on our Related Links page or on Who’s Who in Bible Prophecy either. Justine, I went to the web-site for Passion for Truth Ministries and they seem very passionate about returning the church to her Hebrew roots, which is not necessarily a bad thing as long as it’s non-judgmental and scripturally sound in my opinion. They use the Hebrew names YHVH and Y’shua, for example, which I am prone to do at times myself. All I can tell you is go to their web-site http://www.passionfortruth.com and read the articles and make an informed decision. some people say our mandate to support isreal is NOT a blanket mandate and if they persecute christians we should NOT support isreal. More often than not, I turn Sid Roth off; I thought his comment about the Orthodox rabbis was intriguing. Is Israel perfect? Obviously not. But we have brought the persecution of Christians by Jews upon ourselves. Up until around the 3rd century AD, Jews and Christians got on famously. The church leaders read some passages sideways (things about feasts and keeping Torah), and they decided that Jews had to reject their Jewishness which is absolute hogwash. WE began persecuting THEM first, hartdawg. We continued it through the Inquisitions and the Holocaust. I understand much of that wasn’t the Protestant church, but most outsiders can’t tell the difference between different denominations. But for someone to say we don’t have a mandate? Satan drove a wedge between Jew and Gentile long ago that remains until this very day. The persecution of the Jews was by European Christian, not American Christians. If it weren’t for America there wouldn’t be an Israel and if it weren’t for Israel we wouldn’t be blessed. I still support Israel though without the rose colored glasses now. I don’t think America has been blessed JUST BECAUSE we have supported Israel. There are many other blessings in the Bible for things other than supporting Israel. For starters, many of the people who first came to America were honestly and passionately seeking God. I think this, and the saints who have lived (and still live) in America are good reasons why God has blessed this country. I also don’t think that we’ll be immediately destroyed (or punished) just because we’re turning our backs on Israel now. Many, many Americans still support Israel, pray for her daily, etc. But even more than that, people in America still seek the Lord and desire Him. I think there’s a danger of isolating this blessing/curse with Israel and pointing to disasters that “seem” to be tied to it. Certainly there are consequences to actions and weather events and other things happen, but to say all this is tied to one thing is a little simplistic and erroneous. And despite what some judgmental Christians say, born-again believers are alive and well in America. And God is NOT angry at His children–wayward, confused, and immature though they may be. He loves us with an everlasting love that we cannot fathom. He has blessed us with every spiritual blessing, and He continues to bless us–sometimes with material wealth but ALWAYS with His presence and the life of His Son inside of us. So let’s not get tunnel vision and say that everything hinges on support or nonsupport of Israel (as important as that is). Gotcha, dawg, loud n’ clear. I agree, we have to be realistic about Israel: they aren’t perfect. Who is? 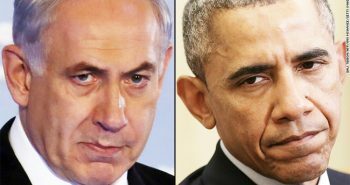 There will be judgment for holding Israel’s toes in the fire in the Iran/2 state “solution” the Obamassiah’s pushing. But I have come to a conclusion about this coming judgment: wouldn’t it be the mack-daddy of all judgments if the Rapture were to occur? And I agree, Laura. Not everything hinges on whether we support Israel or not, but it’s a lot. We’re bringing curses down on ourselves for commiting adultery as a nation with false gods and have moved away from Yahweh Elohim. I think this view makes a lot more sense given some of the verses in ezekiel 38 and 39 that don't seem to make much sense unless gog and magog ends at Armageddon (and maybe starts as early as the abomination of desolation) when Israel is living in peace. I agree with Joel Richardson and Dave Hunt on this 100%. The reason that America supports Israel could be because they are both states founded by people of European origin, by persecuting the indigineous communities. The fact that there are a huge number of Christians in the Holy Land (especially Palestinians) is usually totally ignored in American media. After all, how can dirty Ay-rabs be Christians? Finally, a "Christian" Zionist is simply not a Christian.